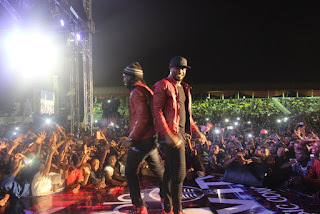 Excitement and unlimited fun was part of the Owerri residents and environs on Wednesday December 21st as the Yudala Imo My Pride Mega Music Concert witnessed thrilling performances from twin sensation, P-Square and Mavins star, Dr. Sid which kept the massive crowd at the Heroes Square, Owerri up all night. The event, which featured as part of the activities for the Imo Carnival 2016 had in attendance the Executive Governor, Imo State, Dr. Rochas Okorocha; Deputy Governor, Eze Madumere; Chairman, Zinox Group, Leo Stan Ekeh, members of the Imo State House of Assembly and a number of first class traditional rulers. Also in attendance was the Executive Governor, Cross River, Prof. Ben Ayade who was the Special Guest of Honour. A night which got underway with a carnival parade by dance troupes from various local governments in Imo State eventually saw a high-octane musical feast when the Yudala Imo My Pride Concert commenced from 2am. With upcoming act Akuchi Amadi raising the curtain and David Grey again showing why he is unarguably one of the most promising talents in the music scene, the atmosphere was lifted when Ten Over Ten crooner, Naeto C took over. Next up was Dr. Sid. 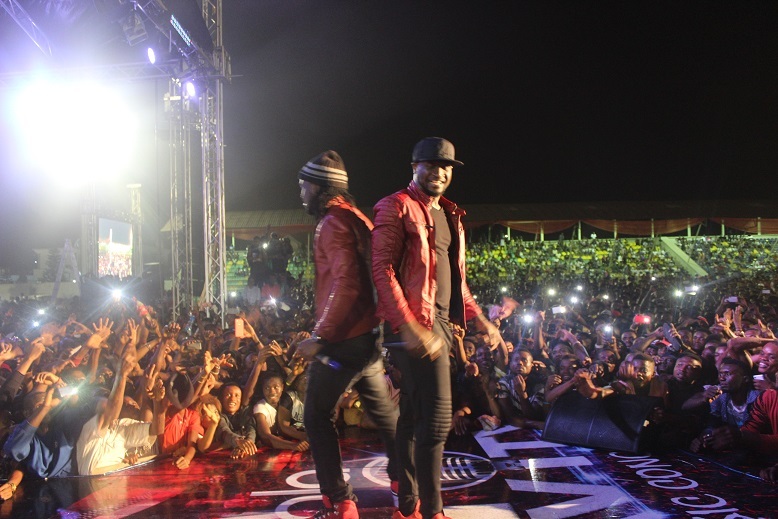 Hit after hit, the Mavins star and medical doctor-turned-singer/songwriter took the crowd to a higher level with an energetic performance which prepared the grounds for headline acts, P-Square. The Anambra-born entertainers did not disappoint, delivering an exciting performance featuring a plethora of hit songs with the high-point being the rendition of their latest effort – Bank Alert – which had everyone singing and dancing along.